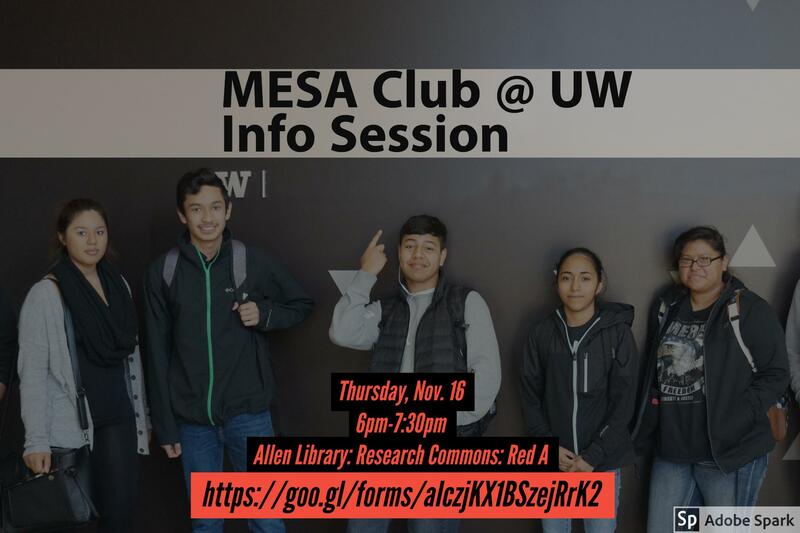 At UW-Seattle, we’ve met a couple of MESA Alumni and some students have reached out to us to help start a MESA Club at UW. What: We'll have food and then a brainstorm session on what a MESA Club can provide to MESA Alum @ UW-campus. Why: "Because once in MESA, always in MESA!" Please RSVP if you plan on attending and if you can't make it to this Info Session, please leave us your email in this short form and we'll keep you updated on opportunities and resources.